We caught up with Seiichi Daimo. Check out our interview below to see what he had to say about a future tour and his new EP, In The Inbetween, coming out on February 25th, 2014. 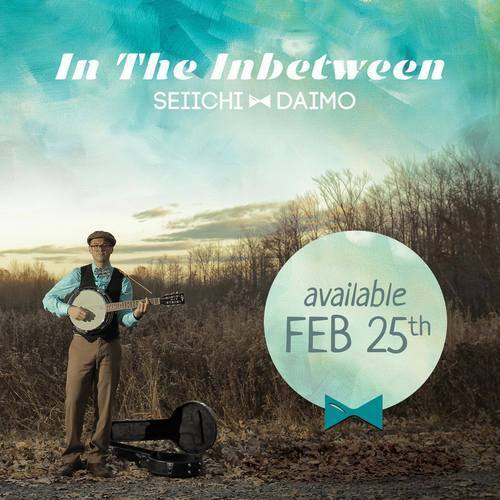 Check out Seiichi Daimo here! For anyone that hasn’t listened to you yet, how would you describe your sound? I would describe my sound as soulful, thoughtful, fun, folk / singer songwriter / pop music. On February 25th, you are releasing your new EP In The Inbetween. What can fans expect from it? Fans can expect a fun and unique EP. Serious topics in a positive, genuine, pop / folk format. While I am a solo acoustic artist the EP will be 4 fully realized songs with a full band. The record was produced and recorded by Joseph Stasio at Central Ave Studios in New Jersey. What was the writing process like when creating the EP? Well the “In The Inbetween” EP came about after a writing hiatus. I didn’t know what was next for me in my life. I felt stuck inbetween where I was and where I wanted to be. I then realized how relatable that feeling was. We are all in some state of transition, we are always changing and time is always moving forward. Once I had the concept it all came into perspective and allowed me to write. What is your favorite track off of the EP and why? I would have to say the title track, “In The Inbetween”. Its fun and positive, while still being honest and serious. I think it’s the best portrayal of who i am as a songwriter. How did you become involved in music and what made you want to pursue it? Ever since I was little I knew I wanted to write songs. It wasn’t ever a decision I just expressed myself that way. I grew up in a musical house but not your typical musical house. My sisters and I were not allowed to listen to the radio. We studied classical music. I played the violin even tho I never actually wanted to. I always wanted to play the guitar, it was a magnetic draw. Once I was old enough to take guitar lessons the writing just came naturally. I will write songs for the rest of my life. Yes, a spring tour is in the works! Dates are still “to be announced” but I will be making my way to Austin for music week to kick things off, then dates in San Francisco, LA, Philly, and NYC. For updates you can check out seiichidaimomusic.com! What can fans expect when they come out to see you perform? Most shows I do are solo acoustic which means lots of 1 on 1 time. Haha. I try to just enjoy myself when I perform, I don’t take myself too seriously while I do touch on serious topics I think everything is good in balance. Yes, Thank you so much for the questions! I like to leave my interviews with my phrases to inspire. “Make this life your art” and “shine bright”!